Do you sometimes get the feeling that every day is an exercise in pounding on the same wall, to get the vegan message out there and that is to no avail? Do you always feel frustrated? Do you feel that no matter what you do you are letting the animals down? Do you feel overwhelmed? Information overload? Which organisations to trust – if any? Do you feel exhausted, depressed, disillusioned, overwhelmed, defeated, disheartened? Do you feel that you have lost your mojo? Well, frankly it's hard not to be these days and you are not alone. Animals suffering and being exploited every day. Humans suffering and being exploited every day. Environmental degradation. Planes being shot down, innocent civilians being killed, war, economic woes, soaring unemployment. Just bad news everywhere. Believe me, I have good days and bad days too, but I know that maintaining your positivity and emotional health is critical if you are going to be an effective long-term vegan activist – if that is what you want. And if that is what you want, you have to find the sweet spot – the balance – between health, happiness and activism. A single individual can only do so much. At the same time though, a single individual can make a significant difference – if the individual is working effectively. You have to work smarter not harder. When I need timeout – an emotional break – I always head to this wonderful site founded by my friend the remarkable Leigh-Chantelle, a vegan advocate of vast repute as you are probably aware. If not here, then I scour her social media sites for inspirational content be it diet, animal rights and other social justice issues, lifestyle, poetry, singing, business services, recipes, inspirational talks, and so on. She has great credibility and presence on social media. 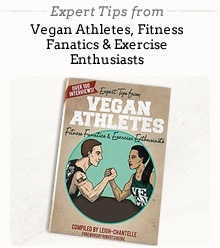 Having followed Leigh-Chantelle's journey since 2006, I can say without hesitation that this lady is the gold standard of templates for any vegan advocate's activities. Leigh-Chantelle is about focus, balance, discipline and a very strong work ethic. She has realistic goals – which we all need. She is generous to a fault and will help any worthwhile cause. After following her for eight years, I know (mostly) when content will appear. (She uses Hootsuite, a social media management system that allows content to be shared at scheduled times. This is great for differences in time zones between countries. This is also an ideal tool for all advocates.) Using Hootsuite too allows her to concentrate on other endeavours – this is working smarter not harder, obviously. Contrary to popular opinion: IT IS NOT A CRIME FOR A VEGAN TO ENJOY LIFE AND BE HEALTHY AND HAPPY. In reality, it should be a prerequisite for all vegan advocates. Take the time to smell the roses... walk the dog (haven't got one? – adopt one! ), go surfing, running, go to the gym, listen to music, have a nap, go to the movies, go hiking/camping, read a good book, paint your house, have a long vegan lunch with friends, visit or volunteer at an animal sanctuary, et al. And it is a necessity, because the movement needs every able-bodied man, woman and child to carry the vegan banner forward. >Don't isolate yourself. Find a role model, someone you look up to and believe in and follow that person unashamedly. Feeling sad and angry about the world is normal, but retain your sense of humour. Understand that change is possible. Don't let your activism become a draining compulsion it should be a life-sustaining passion. Think very carefully about the content you share on social media. You are after presence and credibility. Do your research. Practice “sustainable activism”. That is, devote a manageable and reasonable slice of time to your activism and the rest of your time for other unrelated commitments. Understand that changing the world is going to be a marathon, not a sprint. So pace yourself. If possible, measure your success however unremarkable it may seem. Every day give thanks to other activists for their endeavours and success. The movement doesn't need martyrs, just more passionate activists. I hope this letter has helped in some way if you are feeling cynical and/or burnt-out. Remember, you are never alone. Congratulate yourself on being vegan, but don't forget to live. Jim Campbell is a vegan/abolitionist of 16 years. Android and HTC fan. Tech head. Music aficionado and would-be iconoclast.